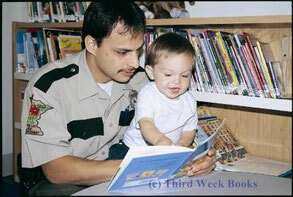 Early Literacy Materials - Third Week Books - Encouraging young families to read together. 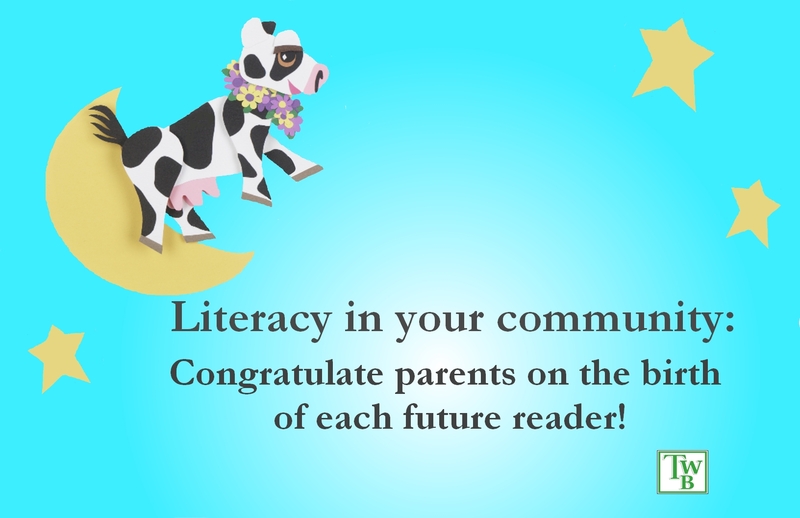 Now that you have presented the parents of each newborn in your community with a Baby Reader, what else can you do to support the early literacy effort? Third Week Books offers a few ways of extending your efforts (at right). Consider Early Literacy Posters for public areas that new parents might frequent. The posters and Baby Readers will provide your community's new parents with a coordinated early literacy message. Our Early Literacy Notecards (blank inside) are perfect to remind moms and dads of nursery rhymes and the importance of early family reading. You may also wish to print your messaging to new parents on custom notecards, or early literacy postcards. Call TWB with your order's specifics. Minimum quantity: 200 pieces.